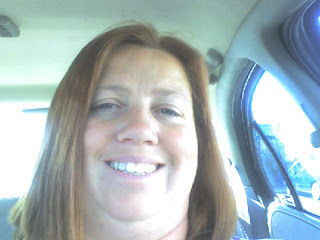 I cut several inches off the back and then hubby helped me dye it red. Crunchy (5 year old daughter) asked what happened to my hair? Why was it orange? She decided it was because I'm getting older. I guess I am not going gray--I'm getting rusty. When I got home from work and said I was getting in the shower, she asked if I was going to wash it out now. But everyone else loves it! Red Heads have more fun. It's true! oooooooooo!! looks great!! :) and what a nice hubby to help you w/ the dye job! Great looking cut. I'm cutting my hair next week too. Right now it goes 3/4 down my back.